Build a website or blog is not a difficult task but generate real traffic or users for your website it may little harder. I have created this blog (pradeeptomar.com) to share my personal views and ideas to World but recently I thought that where the benefits of our readers are? My readers can read my views if getting some benefits from us, right! But all views cannot be beneficial every time. So I converted this blog to as a social media marketing or Internet marketing learning hub, where readers can learn how to create a website or blog? After creating a website then know how to promote content to engage readers or viewers. So this blog post is for those readers who want to increase his online business to promote goods online. Here I will tell you how to increase free traffic to your blog or website with small daily work. I request you to don't confuse your readers as I did. Your website homepage should be like a movie poster which tell the complete story of your web page or business so interest persons will only read it and share it. 1. 1. Choose domain name according to your business and blog topic so that anybody can understand with the name of your website that which is related to this (any topic or business). 2. After that choose the right blog and website category where readers are interested to read it or find any content or post easily. 3. Post right content or post to correct category each time, for no more confusion in the reader's mind, otherwise readers will close your website in few minutes and they will try to find same content or topic from other websites. If you are managing your website or blog like above then second step to get traffic on your website is very important, you need publicity right?, here I will tell you here that how to publically know about your business or website. This is the first thing that you should choose carefully right blogging platform, if you want to start with a free blogging platform then blogger.com is the no.1 platform. You can sign up with Google account and start your blogging. You can also add custom domain name with your blog. But if you have money and if you can invest about Rs.5000 to 10,000 yearly, then you can go ahead with Word press blog. Word press is totally custom blogging platform where you can change your blog design, function, tools as per your needs where the blogger.com have very limited functions to use. In addition, you can buy cloud hosting to improve website speed and downtime. If you are new to Word Press or blogger.com then very soon I will post Word Press Guide and Blogger.com Guide so that you can understand how to start with it. If you have chooses the correct blogging platform as per your need then we will discuss about SEO. means search engine marketing. In another form, we can say SEO means tell search engines like Google, Bing, and Yahoo, that you have posted unique products or content. So that search engines can list your URL in their search result. a) Choose the right keywords for your blog post or product listing which readers mostly search in search engines (Google, Bing & Yahoo). This is the most effective strategy for any bloggers because your reader loves to read your content. This step will bring you new readers on your blog and they will join you. If you are listing product then customers can easily find your product in Google search result because you have chooses the right keyword. b) What is the right keyword? How to decide it? It is not a big question, you just think like a human, not a machine. If you are the place of customer or reader then which keywords type in Google to find the same content or product? Right! Now you can get this answer yourself. c) When you are doing blogging or product listing on your web page then you must follow on-page optimization rules. I will tell about SEO, on-page optimization and off-page optimization in a separate post. It is very important that you can start your community or group related to topic or products. You can join related forums; Facebook pages and WhatsApp group to viral your content and let readers that you have posted some related information on your blog. The press release is one of the old and best ways to get new readers on your blog; you can publish your articles on newspapers and magazines to bring new generation readers to your webpage. If you are selling physical goods then you should post advertisements in newspapers and related magazine. It can be a game-changing strategy for you because you are posting your own article or content to that blogs which already have millions online users or traffic, you can start posting your article to related best blogging sites and refer readers to your blog. There are many good blogging websites which accept guest blogging including me (pradeeptomar.com), which will accept articles or blog posts by guest writers. Guest blogging depends on your content and type, where type means if you are promoting your website or goods then you will not be paid but If you are writing articles or post only to sell then we will accept your promotional line or link in middle of content, after approving your article, we will pay you per article wise, money depends on your blog content size and quality. To promote your blog and website, you should create an account on YouTube, Twitter, Flickr & Instagrams to share your content. For example, you can create a Video for your YouTube channel, tell viewers about topic and products. You can share product or blog post link to Twitter with your own hashtag and the same you can upload related images or pictures on Flickr and Instagram accounts. Comment option on your blog or website should be enabled so that you understand your reader's mind, you can reply to their questions. It means you can build your community on your website itself. Curiosity is the best way to keep readers active on the website till a long time, because if any reader, reading your blog then he should have the curiosity about your topic that what would be next. It is the best feature of any writer to engage your reader to blog till a long time. You can build keyword links like Wikipedia so if any confuse reader can understand the meaning of that keyword which you have posted in your article. This trick will engage your customers till a long time on your website. All the above information, I have posted in short but brief information I will give you next post. You can ask a question in a comment and I will reply to you as soon as possible. In last, I would say - If you share us, it means you care for us. Keep sharing this post. Are you Student or you are living in a college hostel and school hostel? then every student should demand from college authority and schools to bring these 32 education TV channels in dining and living area. Students in homes can also install a free dth system. Modi Government started 32 educational TV channels to help those children and students who want subject classes at home and want to know, more and more about technology, history, and science. Each college/schools must have to show these channels to get UGC certifications to their students. The educational programs, live classes, and other learning contents are provided by NPTEL, IITs, UGC, CEC, IGNOU, NCERT and NIOS. These channels are run by MHRD (Government of India, Ministry of Human Resource Development) to develop the future of new India. Curriculum-based course contents at a post-graduate and undergraduate level covering diverse disciplines such as arts, science, commerce, performing arts, social sciences, and humanities, engineering, technology, law, medicine, agriculture, etc. 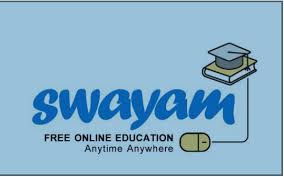 All courses would be certification-ready in their detailed offering through SWAYAM, the platform being developed for offering MOOCs courses. modules for teacher's training as well as teaching and learning aids for children of India to help them understand the subjects better and also help them in preparing for competitive examinations for admissions to professional degree programmes. c). Curriculum-based courses that can meet the needs of life-long learners of Indian citizens in India and abroad. 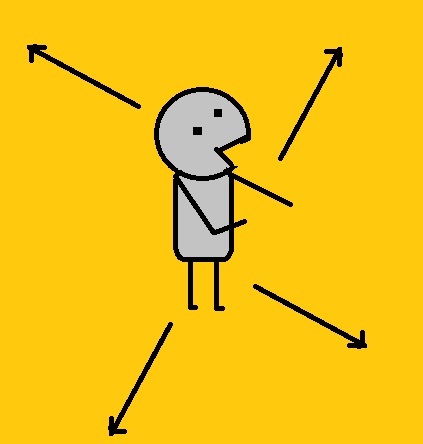 d). Assist students (class 11th & 12th) prepare for competitive exams. How to install and configure DD Free Dish to receive the transmission on SWAYAMPRABHA 32 FREE Educational TV channels? It is very easy to install, Just buy any free to air set-top box, or you can buy DD Freedish iCAS set-top box to receive these channels. You can attach this set-top box with any DTH antenna and relocate position at 93.5 degrees east. The SWAYAM PRABHA is a group of 32 DTH channels devoted to telecasting of high-quality educational programmes on 24X7 basis using the GSAT-15 satellite. Every day, there will be new content for at least (4) hours which would be repeated 5 more times in a day, allowing the students to choose the time of their convenience. The channels are uplinked from BISAG, Gandhinagar. Technology and time never stop. Every year technology upgrades itself. In this post we are telling you about the services Google has closed. We have also seen many changes in Google products. These apps and services were all used to be quite popular among users at one time. They include Google Allo to Yahoo Messenger. 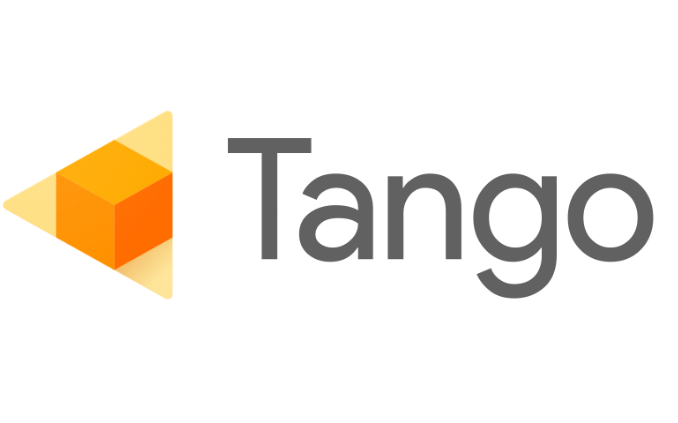 Google has closed its Tango project in 2018. It was introduced to improve the android Smartphone camera. 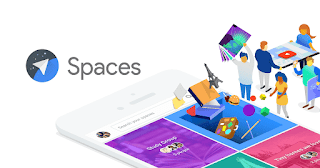 The company announced in 2017 that it will remove the app section from the Chrome Web Store for Windows, Mac and Linux versions Chrome browser. It has been removed in the first quarter of this year. The company had mailed all Chrome app developers and told that apps already installed will work as soon as they are. 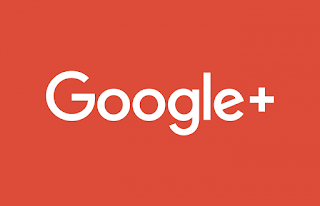 On December 10, 2018, Google announced they would be closing the Google+ in April 2019 as opposed to the original date of August 2019, due in part, to a security flaw that exposed the personal information of 52.5 million Google+ users in November 2018. Google has closed its group messaging app spaces. It was presented as a small group forum or messenger. It was launched in 2016. Google Inbox also announced its closure of this service. It was launched in 2014. This service will be closed in March 2019. However, Google has not disclosed the reason behind shutting down the service. The main focus of this service was the Smarter Email Management Experience. 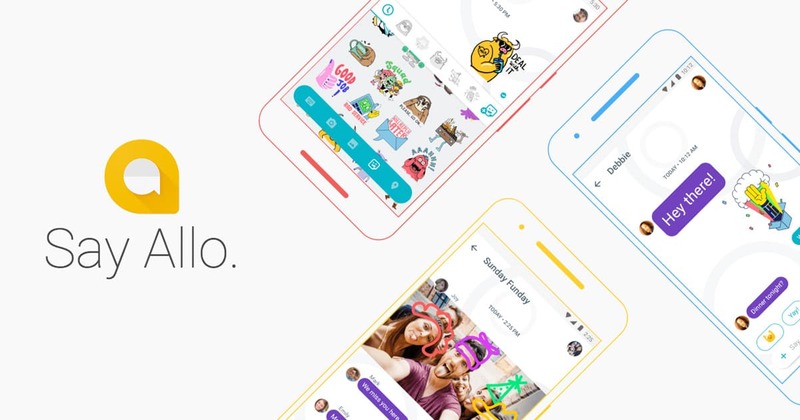 Google is shutting down its instant messaging app Allo it was launched in 2016. Google Allo will be completely closed in March 2019. One major reason for this is to focus on android messaging. Google is trying to improve the SMS experience to android users. 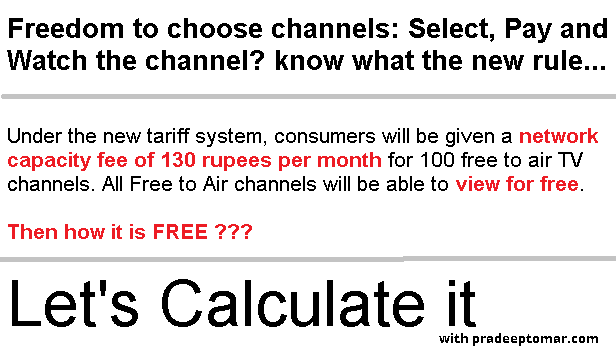 Today I have researched over the internet about new TRAI rule, and found that now all viewers have to pay Rs.130 for 100 free to air channels as a network capicity fees. Viewers only will be able to subscribe pay TV channels after paying for 100 free to air TV channels. It is okay for those viewers who have lots of money because middle class family and poor families cannot increase their monthly budget by paying for FREE TV channels which most of time shows fake tele-brand type ads. Earlier all middle class families was getting free to air channels free or with bundle / subscription pack including pay TV channels. Let’s see this below example on my behalf. Earlier I was paying Rs.220 for popular pack from a DTH connection. I was getting TV channels in bundles including 40+ pay TV channels and 150+ free to air channels. Now I am checking prices according to current rules and regulations of pay TV channels which is starting Rs.8 (in round figures) for SD channels and Rs.17 for HD channels. So let’s calculate it, that how much I have to pay for the same TV channels? But as per rule, I cannot subscribe pay TV channels without paying for free to air TV channels which is costing me at Rs.130 per month. So let’s calculate both, to get same TV channels now I have to pay Rs.320+130 = 450? Oh it is really too much na? You can see difference; it is costing me double by comparing with my old subscription pack. I hope you understand above calculation, you can also calculate yourself by your current DTH / IPTV/ Cable TV subscription pack’s prices and channels. Now question is coming in my mind “why should I pay Rs.130 for free to air channels only which I was already getting in FREE?” Right, so you will ask me, what you going to do now? So finally I have decided to suspend my current DTH connection, because I am not able to pay Rs.450 for same or FREE TV channels. I am going to install a free to air dish antenna which can be DD Free dish or C-Band dish antenna and going to buy a free to air set-top box. If I have two or three rooms then I can also watch same free to air TV channels everywhere without any monthly charges but it cost me like a onetime investment. By installing free to air system, I can receive 300-400+ free to air TV channels from different-different satellites by Ku-band and C-band signals. Now you will ask me another question that you don't love Pay TV channels? What you will do to watch premium content or favourite shows? Yes, I will feel bad few days but I will see other options available like digital platforms like Sony liv, Hot star, Eros Now, Amazon Prime and Netflix etc. I can also buy free to air + android Os box where I can access both free to air and premium contents without paying huge money. You may also ask another question, what about your kids? I will told him to view cartoons and kids programs on digital platforms like YouTube, Smartphone’s and android box which can be install on any type of TV. I know lots of friends will not be satisfied with my current decisions, but it’s my home and my budget. If you can bear it then you can go ahead with current TV channels provider but I will not. I think for now just wait and watch what happening with the television / DTH / Cable TV and broadcasting industry after this implementation. If will be wrong then surely I’ll come back because I also missed some pay TV channels. Looking for comments and feedbacks on this topic, so that I can add more here. See you Friends. Remember : My thoughts are personal not official, don't mind it. Step-2 :लोगो को आमंत्रित करे. अपने फेसबुक मित्रो को अपने पेज से जुड़ने के लिए आमंत्रित करे एवं उनसे आगे भी शेयर करने को कहे. अपने पेज से सम्बंधित पेज को लाइक करे एवं उनकी बातचीत (Comment ) में भाग ले. 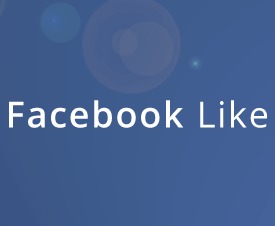 Step-3 : अपने फेसबुक(Facebook) पेज का प्रचार प्रसार करे. अपने फेसबुक पेज पर ज्यादा से ज्यादा सब्सक्राइबर जोड़ने के लिए आप ईमेल मार्केटिंग या न्यूज़ लेटर का इस्तेमाल कर सकते है. आप अपने फेसबुक पेज के लिंक को अन्य सोशल मीडिया वेबसाइटस पर जरूर बताये. ताकि कुछ सब्सक्राइबर वहां से भी मिल सके. आप अपनी वेबसाइट पर फेसबुक फॉलो बटन या लाइक बटन का पॉप-अप लगा सकते है. जिसमे आप हर दिन नए नए सब्सक्राइबर्स जोड़ सकते है. आप अपनी वेबसाइट में साधारण कमेंट बॉक्स की जगह फेसबुक कमेंट बॉक्स का इस्तेमाल करे. अपनी सब्सक्राइबर्स को ध्यान में रखते हुए हमेशा प्रचार प्रसार न करे. आप चाहे तो अपने प्रोडक्ट या सेवा से सम्बंधित हेल्प, जरुरी सूचना, सन्देश, जानकारी या ऑफर्स आदि भी देते रहे ताकि आपके सब्सक्राइबर्स आपके साथ जुड़े रहे. हालांकि फेसबुक पेज लाइक और फॉलो निश्चित रूप से बहुत ही महत्वपूर्ण है जो की आपकी सक्रियता और लोकप्रियता को दर्शाता है. इसलिए अपने फेसबुक पेज पर हमेशा सक्रिय रहे ताकि आपको नए नए सब्सक्राइबर्स और सब्सक्राइबर को नयी नयी और जरुरी जानकारी मिल सके. 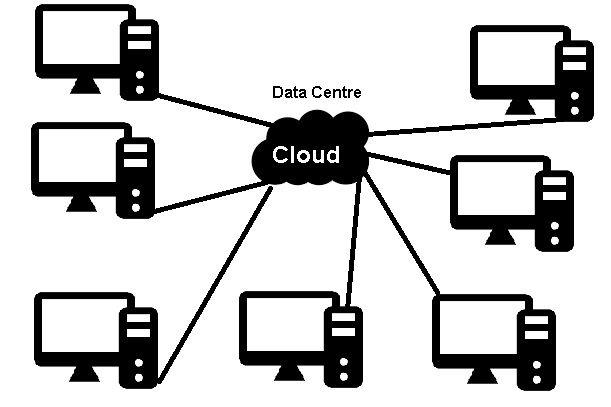 No there is a big difference between cloud and CDN because clouding computing is a big group of servers from one place, you can say it cloud data centre. All computers may be connected together if any one server failed to provide data then you can access from another one. But keep in mind; it is happening from one place. You can understand simply that dividing up a large computing resource (usually processing or CPU power) into little chunks which you can access remotely. This collection of servers on one location (data centre) is called the cloud computing or cloud hosting super server. CDN is content delivery network, here the same big group of servers divided in to small group and each group of servers installed in different locations in the across country. The CDN service is usually able to support much larger traffic volumes since the speed is calculated based on nearest location of the server & the traffic comes from. You can understand simply that a bunch of "servers" that are spread across the world or country in different data enters. When you upload your file to one of these servers - and then tell it where your customers are coming from. It will then copy the same file to other server that are nearer to your customers; giving your visitors a faster experience. 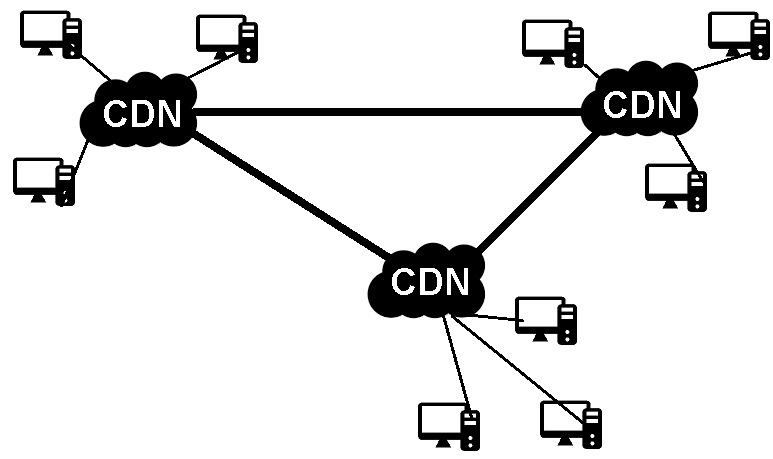 This collection of servers on different-different location is called the content delivery network. Cloud computing is usually used for large websites with high traffic but for small downloading because it used processing (CPU) resources where CDN is useful for large file and large downloading like video streaming, IPTV etc. It uses high bandwidth then CPU. Where to sell products online? on marketplaces, website or on both? It is not a hard question to say and compare that where you should sale online and where should not. Today I will compare all leading and top marketplaces for you so that you can understand why you should sale on marketplaces and why you should not sale on marketplaces. So let’s understand this business and its buyers first. 1. Ask question yourself that who is your buyers? Yes, it is very important that what your targeted customer is. Means you want sale in wholesale or you want sale in retail. 2. Do you know which online platform is the best to sell online? It means you really want to sale on online marketplaces? Or you want to launch your own website? Or you want to sale both of places? To get real average answers of above questions we have contacted to 20-50 online sellers and got following response. Getting sales by enquiry from different-different wholesale platforms like Marginbaba, Indiamart or tradeindia is 10%. So as seller’s issues I am creating compare sheet between your own store and marketplaces. In start-up, you may have to pay from your pocket but once you prove yourself for good customer service and marketing then nobody can harm your business. Need to build customer service first. In start-up, you will get very good amount of orders so you will invest you’re hard earning money for stock and process. 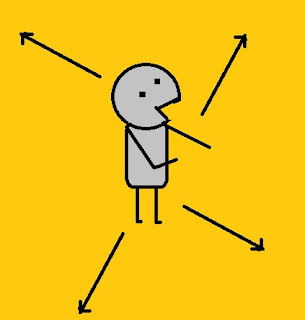 But you may kick out from any marketplaces if you made any mistake by mistake. So it is have high risk. Wholesale business depends on product quality and price which you offering. You can talk to your customer to provide him replacement or refund or solution. Some marketplaces directly accept return from your customer without seller interaction. It is big loss for any seller. No returns if there is no issue with the product quality. You can provide customer support and understand your customer needs. Marketplace customer doesn’t ask for support, anybody can return ordered items within few days or few months. You may have limited courier services, depends on your location. You will get complete shipping solution. If in case you are out of stock for any item then you can offer replacement to customer. You cannot offer replacement. Or you can take extra money for replacement product. You have to manage packing of orders yourself. Some marketplaces keep stock on pay per spaces basis and from some marketplaces you have to pack order yourself. Yes, you can manage your website, your customers and quality for lifetime business or earning. No, you cannot depend on other arms. It is the truth of the life. Yes, all is yours. :-) Happy selling for lifetime. But advise to sale only brand authorized products. If you earn first month by good orders then next month you can get more returns. Your store may be suspend. Your business may finish anytime. Depends on your customer service and product quality. Yes, you can offer high discount to your customer because your expenses are very low. You can not offer high discounts because you also have to pay commission along with office charges. So in the last, now you can decided where you want to go. As per my personal experience. you must open your company website with online marketplaces. You can offer good discounts on your website which you are paying as commistion. Know, How to Earn Money by Affiliate marketing ? Affiliate marketing से पैसे कैसे कमाये? इसके लिए आप इंटरनेट पर Affiliate Programs सर्च कर सकते है और जो वेबसाइट ये सुविधा दे रही है उन वेबसाइट पर जाकर अपना रजिस्ट्रेशन करना है, उसके वाद वो वेबसाइट आपको खुद बता देगी की आगे इसे कैसे करना है और कैसे बढ़ाना है.